Email: Sign the Petition! No War Exports to Saudis. Australia has been dealing weapons with the Saudis. 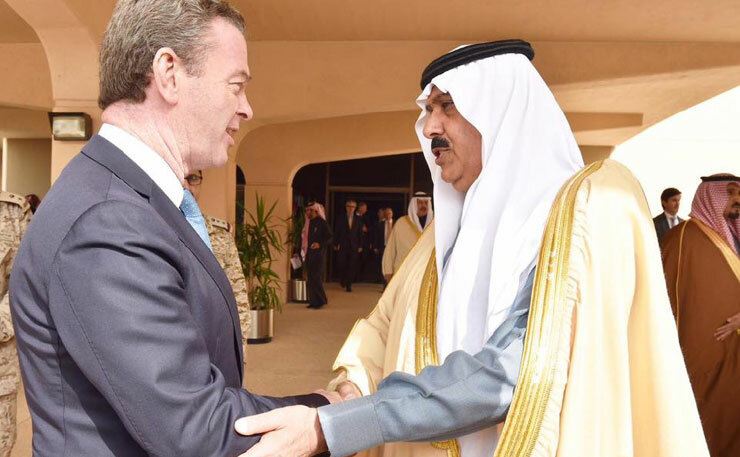 Christopher Pyne was in Saudi Arabia doing deals at the end of 2016. Human rights lawyers called it ‘a conspiracy of silence’ because they have refused to provide details. Australian defence ministers must guarantee that we are not arming Saudi Arabia. Human rights abuses have been identified in Yemen and the Saudi’s are implicated. Since 2015, an unlawful war has been occurring there. The Saudi government has been conducting bombing raids as part of a “coalition” trying to gain control. In August 2018, a Lockheed Martin missile killed 40 school children when it hit a school bus. 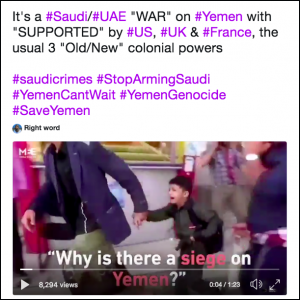 Video on Twitter: Why is there a siege on Yemen? 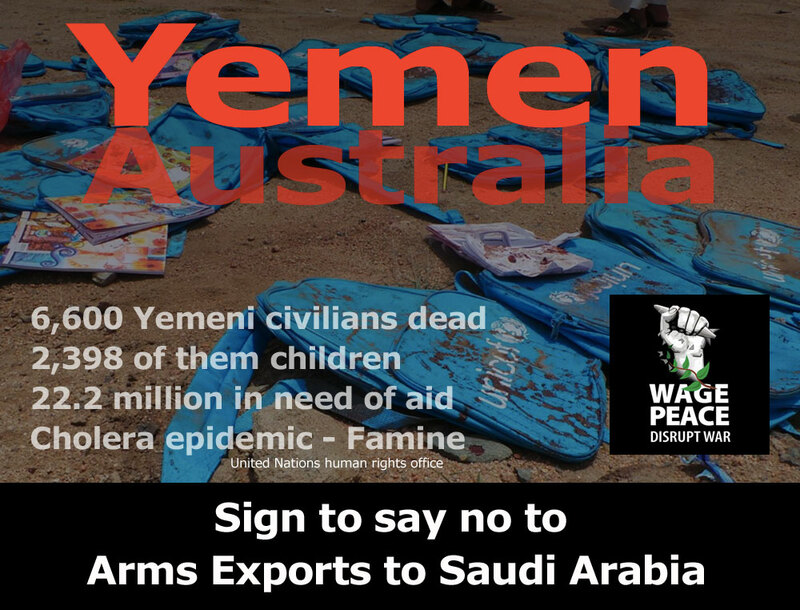 Save the Children, Amnesty International, and Human Rights Watch have requested the Australian ministers of foreign affairs and defence to guarantee military exports are not used in unlawful attacks in Yemen. Australia has signed the Arms Trade Treaty. We say NO to human rights abuses anywhere. Sign the Petition – Say ‘No’!